A dream session at a beautiful castle is always a winner. But when you add an adorable couple with a glowing expecting mother, the cutest baby belly ever and the most beautiful sunlight, it's pure magic! Emily and Ben were such a joy to photograph! And can you believe that she was only 2 weeks away from her due date when we took the photos?! 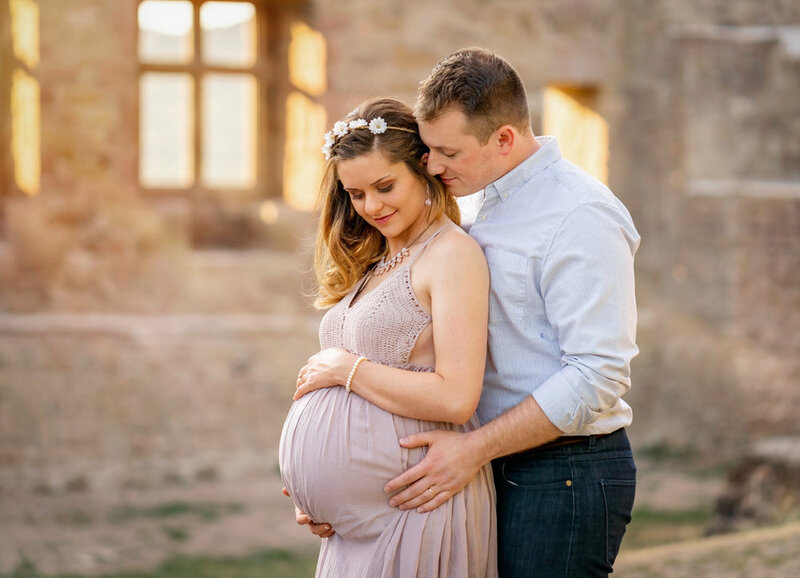 Emily, you're just drop dead gorgeous in these maternity photos! Oh, and Ben is looking handsome there, too, haha! I'm so happy for your little family to expand within the next few days! I can't wait to meet your little baby boy!